Amazon is one of America's most robust job creators, its domestic workforce soaring from 30,000 in 2011 to 180,000 in 2016 — and climbing. DONALD TRUMP'S intermittent grudge against Amazon recently flared up anew. On Aug. 16, the president lashed out at the company in an early-morning tweet, accusing it of "doing great damage to tax paying retailers" and blaming it for "many jobs being lost" in cities and states nationwide. It wasn't clear just why the presidential bonnet was once again abuzz with that particular bee. The most popular theory was that a harsh editorial in the Washington Post — which, like Amazon, is owned by Jeff Bezos — had set Trump off. Whatever the trigger, the president's indictment of Amazon was groundless. Whether he knows it or not, Amazon today is as much a "tax-paying retailer" as any of its competitors. And, far from being a net job-killer, Amazon is creating new jobs at a breathtaking pace. The point about taxes is banal and straightforward. Under longstanding US law, merchants only have to collect sales taxes in states where they have a meaningful physical presence. Back when Amazon had brick-and-mortar facilities in just a few states, its customers were charged sales tax in only those states. Despite much griping by traditional vendors, there was nothing unfair about this. No retailer is obliged to collect taxes for states it doesn't operate in. If a Connecticut jewelry store sells a silver bangle to a customer from Los Angeles, it doesn't have to remit sales tax to California. All merchants — conventional "Main Street" stores, mail-order catalogs, and Internet retailers — play by the same rule: They only collect sales taxes in the states where they're physically located. Since Amazon now is physically located everywhere, it charges sales tax everywhere (except in the five states that don't levy one: Alaska, Delaware, Oregon, Montana, and New Hampshire). All told, Amazon remits a fortune in taxes to jurisdictions at every level: The total last year was $412 million. Vastly more impressive, though, are the data that explode Trump's claim that Amazon is an employment killer ("many jobs being lost"). 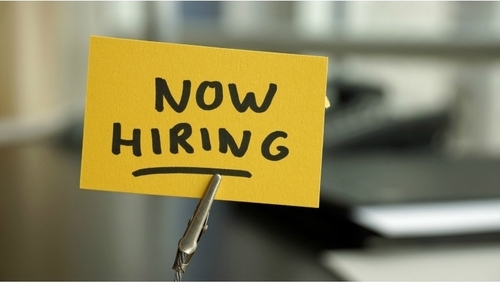 In 2011, Amazon had 30,000 full-time employees in the United States. By the end of 2016, it employed more than 180,000: a sixfold increase in just five years. In January, Amazon announced plans to expand its US payroll by another 100,000 jobs — "full-time, full-benefit," it emphasized — over the next 18 months. Worldwide, Amazon now employs more than 380,000 people, and in the first half of 2017, it hired another 41,000. "For perspective," wrote Nat Levy at the technology news site Geekwire, "Amazon's global workforce is roughly equivalent to the population of Cleveland, and it has added approximately a Billings, Mont., worth of people in the last year." Characteristically, Trump has personalized his rancor for Amazon. "Believe me," he said of Bezos and Amazon during the 2016 campaign, "if I become president, oh, do they have problems. They're gonna have such problems." But were Trump to obstruct Amazon's astonishing revolution in commerce and logistics, it is he and his administration that would have problems. Amazon is one of the most robust generators of wealth and employment in contemporary American life. Considering Trump's repeated declarations that he would be the greatest jobs president "that God ever created," his disdain for Amazon is irrational. Doubly so, given his much-ballyhooed admiration for winners. There is nothing theoretical about Amazon's appeal. To take a single measure: An estimated 85 million Americans subscribe to Prime, Amazon's $99-a-year membership service. That amounts to one-third of the adult population of the United States, or roughly two-thirds of all American households. It is also 22 million more than the number of Americans who voted for Trump on Election Day. 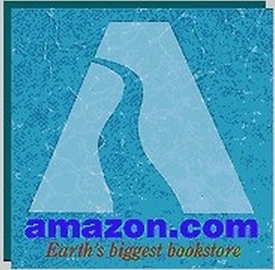 The first Amazon logo, when it was merely "Earth's Biggest Bookstore." Of course Amazon's rise has upended old patterns of buying and selling, and driven weaker, less effective vendors to their knees. What industry hasn't been squeezed, flattened, and turned inside-out by the convulsions of the digital age? What the economist Joseph Schumpeter called "the perennial gale of creative destruction" is integral to free markets. Entrepreneurs with better ideas and innovative offerings make societies richer, safer, healthier, and more comfortable. But the price of progress and prosperity is ceaseless churn in the economy, with new goods, services, and companies displacing the old. Amazon started out as a Bezos brainstorm: Use books as a gateway to gradually train consumers to shop online for everything. When he launched what he grandly called "Earth's Biggest Bookstore," few could have imagined what Amazon would be 25 years later: an unprecedented colossus of retail and wholesale commerce, of warehousing and distribution, of data management and storage, and of audiovisual entertainment. And of job creation on a stunning scale. On net, Americans are much better off because Amazon is good at what it does. The president is under no obligation to sing the company's praises. Couldn't he at least refrain, though, from the false and gratuitous tweets?